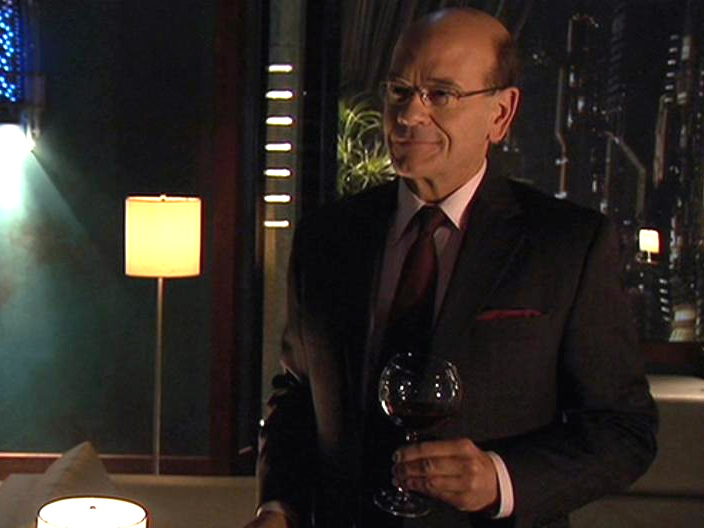 There’s no role in the Stargate universe quite like that of Richard Woolsey. 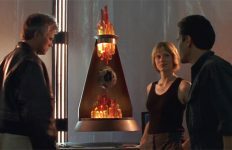 Originally written as a rather two-dimensional antagonist, Woolsey was brought into the mix to cause problems for the team in Stargate SG-1‘s seventh season. But as he returned again and again Woolsey found new layers to his character. 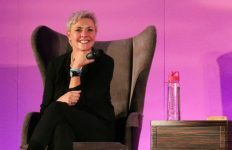 Eventually he became not only a series regular and a protagonist — in the fifth season of Stargate Atlantis — but even the leader of the Atlantis expedition. 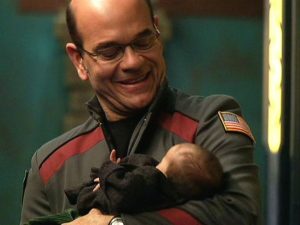 In five years actor Robert Picardo and the show’s writers had taken him from in-your-face bureaucrat to … dare we say, loveable? Picardo talks about his character’s transformation in a brand new interview with Kurt Manwaring at From the Desk. 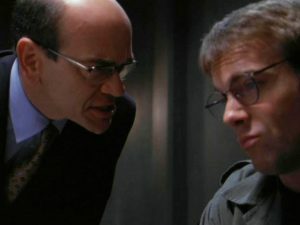 “The character was introduced in Stargate SG-1‘s episode ‘Heroes, Part 2’ as a bad guy,” Picardo recalls, “brought in to interview the regular crew members and assign blame for the tragic death of Dr. Fraiser.” That didn’t start him off on the best foot with SG-1, who didn’t need another Kinsey-type demanding answers inside an interrogation room while they were grieving the loss of a dear friend. Mr. Woolsey was back in the seventh season clips show “Inauguration,” evidently helping Kinsey do the dirty work of bringing down Stargate Command — “not a very auspicious beginning for what grew into one of my favorite professional experiences as an actor,” he said. But by the end of that episode Woolsey had discovered his conscience, handing over to the President some vital intel on Kinsey himself. Writers Joseph Mallozzi and Paul Mullie in particular looked for ways to bring the character back, gradually rehabilitating him in the eyes of the audience — while staying true to his cowardice and his love of government oversight. “Woolsey ran away from danger faster than anyone in the SG-1 episode ‘The Scourge,’” he said. When the big chair came open in Atlantis, Mallozzi called Picardo with the offer. It came as a bit of a surprise to the actor, given the sort of character Woolsey was at that point. The result was a full season of Woolsey, who felt welcomed yet a bit like a fish out of water in the Ancient city of Atlantis. Woolsey got his own uniform … only to retire to his quarters and put on a business suit to relax. He had a picture of his Yorkie on his desk … but revealed that his ex-wife got the dog in the divorce. He relied on John Sheppard and others for guidance, but also learned how to step up and make the hard calls. 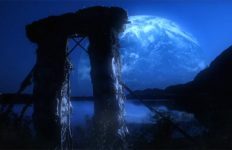 Woolsey’s story is unique as a sort of Stargate tragi-comedy. But he was certainly, as the actor put it, a model of personal reinvention. 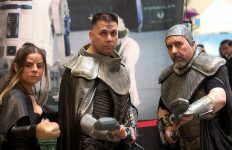 So would Picardo be willing to don the ol’ business suit again and reprise his role, should Stargate come back to the screen? Don’t miss the full interview now at From the Desk! 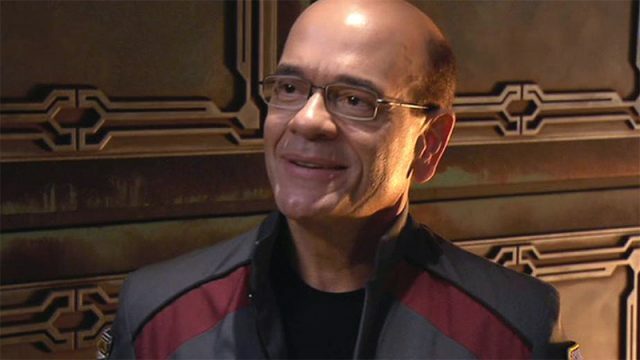 Picardo also talks about his early career, plus seven years as the Doctor on Star Trek: Voyager. I met Robert at a convention and enjoyed my conversation. He is a favorite of mine in the SG universe and hope to see him back on the set regardless of what role he plays. Not sure which character I like best. The one in Stargate or the Doctor off of Star Trek Voyoger. The truth is this….Stargate Atlantis was barely tolerable when Dr. Weir was the leader. It got much better when Carter become the leader, and it got really good when Woolsey was the leader. In fact the last 2 seasons of SG Atlantis was when the show was at it’s very best. The characters were top notch, the show had a real flow to it, and the episodes were really entertaining, and then…Boom, they canceled it! !